In addition to a large portfolio of existing equipment, Procor has the flexibility to meet customer needs with new cars – ranging from small production runs to several hundred cars. Procor's car supply alternatives include access to Union Tank Car's production space, with a full complement of engineers involved in the design and manufacture of tank cars and components. 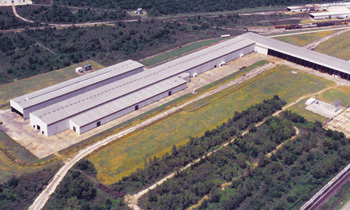 Union Tank Car's wholly-owned subsidiary, UTLX Manufacturing, Inc., manufactures a complete line of tank cars, using facilities located in Houston (Sheldon), Texas and Alexandria, Louisiana. 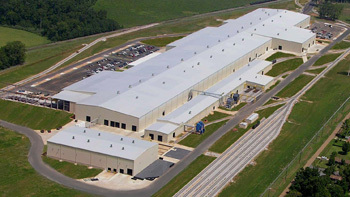 The Alexandria plant, opened in 2006, is a $100 million investment in the world's most advanced tank car manufacturing facility. It was designed with a four-lane in-line process and employs lean manufacturing concepts. Continual advancements in manufacturing technology have resulted in many product features that are only available on cars built by UTLX. UTLX has a firm commitment to training and continuous improvement as part of its Managing Total Quality (MTQ) process.